I am a Maccas girl from way back. During my formative years, I spent more than a decade working under the Golden Arches. McDonald’s or Maccas as we Aussies refer to it, was a fun place to work. It provided an education that supplmented my book learning through school. It taught me about processes, structure and team work, suggestive selling and the six steps to great customer service. You might be asking what this has to do with social media. Glad you asked. A couple of days ago, McDonald’s launched its Big Mac Chant promotion. 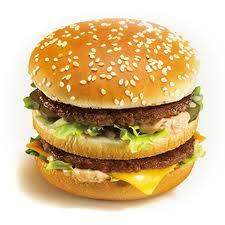 The idea of the promotion is to have Big Mac lovers make a video of the Big Mac Chant and upload it to the website. Visitors to the website then vote on the videos. The mysterious McDonald’s panel then determines the best video to award the grand prize of an overseas trip for 7 people and of course, a Big Mac. This week in our course material we studied the habits of audiences in the online world. And Big Mac Chant campaign embodies much of what we talked about. Audiences are not the passive recipients they used to be. Shock horror, we now want to participate, engage and be part of the discussion. Brands and news organisations have recognised and leveraged off this desire to various degrees. Some welcome audience participation, others do not. In what to me is a clever move, McDonald’s is playing the social media audience at its own game in what should be a win/win situation for both. The reward for a great Big Mac Chant is no longer just a soft drink and let’s face it, that just would not cut it in today’s world. The prize is now free publicity, validation and fifteen minutes of fame. The potential for likes and comments and possible retweets and linkages is huge. So, not only is McDonald’s harnessing the creative power of its Big Mac fans at little or no cost, it also feeds into their desire to show off and delivers to them a ready-made audience of fellow Big Mac lovers. Not to mention the odd video producer or advertising agency or two. The cost of all of this involvement will be the need to moderate its community. The issue for McDonald’s will be that videos and comments left on its website by others will become in effect owned by it. This leads to issues both from a reputation or brand standpoint and a legal standpoint. I want to focus on the later for the balance of this post. Over the last few years, the Australian legal system has provided some guidance on responsibility for the activities of others in the online space. brands need to monitor and moderate their online spaces regularly and remove any offensive material within a reasonable time. The lesson for brands and businesses is that they must manage the user generated content (UGC) that appears on their pages as actively as they manage their own. Traditionally, big corporates have compliance teams vetting their content before publication. The rise of UGC adds a whole different dimension as the brands don’t know about it until after publication. Vigilance and pro activity is the key to staying on the right side of the legal and reputational line. Online moderation is now a profession and is not for the faint hearted or those short of time. Now, all this talk of legal liability has made me hungry. Surely, it’s time for a Big Mac. This blog post is for discussion purposes only and does not constitute legal advice. Please see a legal professional to obtain specific advice in relation to your individual circumstances.